Keep your Excellence RIO-S-175 14 cu. ft. display freezer in perfect working order, long after the original bottom lid wears out, with this LD00-00011 replacement bottom lid. Featuring a crystal-clear, single layer, heat-reflective glass insert, this curved bottom lid is guaranteed to offer maximum product visibility, while ensuring low energy consumption. Guests won't have to open the lid to see what sweet treats lie inside. This replacement lid is designed with a handle, making it great for guests of all ages to access. 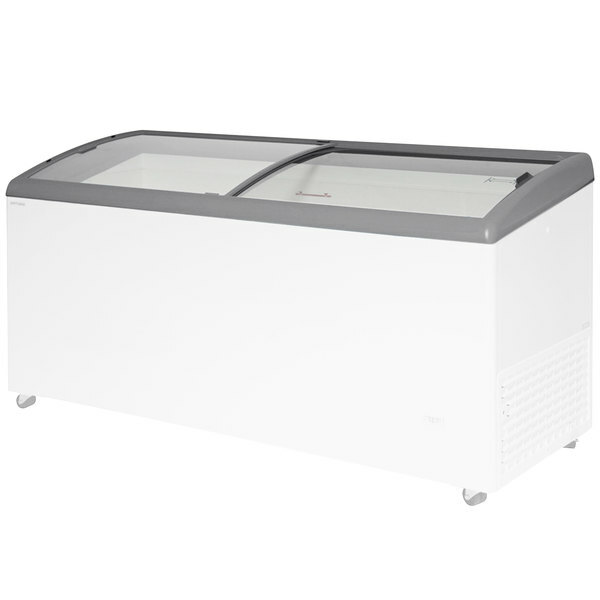 It simply slides beneath the top lid (sold separately) for out-of-the-way storage when the freezer is open.